This entry was posted on Monday, March 2nd, 2015 at 4:00 am	and is filed under Holiday Foods, Meat and Poultry. You can follow any responses to this entry through the RSS 2.0 feed. You can leave a response, or trackback from your own site. Tinky, you crack me up. Loved the photo of you in Chinese regalia. Michael, of course, is adorable–you too for that matter. Thank you, Sara! We have fun (and eat well). I will surely have to try this recipe. 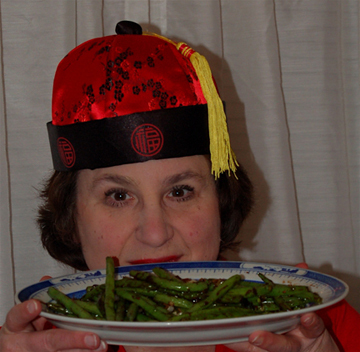 Sounds delicious, and I agree with Sara – I had to smile when I saw you in that Chinese regalia! We aim to please. Thanks for visiting, Pat. I LOVE the photo of Michael…that wasn’t just any Hockey Game, it was the Caps in an outdoor game…which was totally cool except that it was a relatively decent day instead of overcast and freezing, but anyone to has what it takes to attend an outdoor hockey game, well, they deserve a big serving of Moo Shu Pork! You’re so right, Jean. 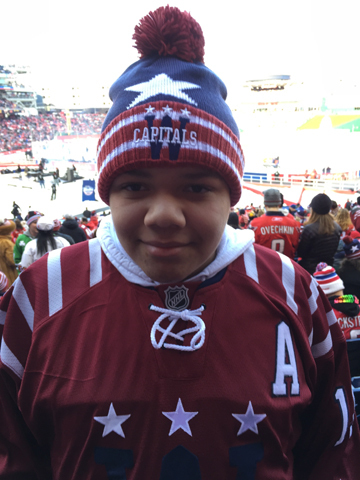 It was the Winter Classic, which took place this year in DC on New Year’s Day. They did get pretty cold (and hungry), but the weather could definitely have been worse. I just happen to have all the ingredients for this in pantry and freezer. 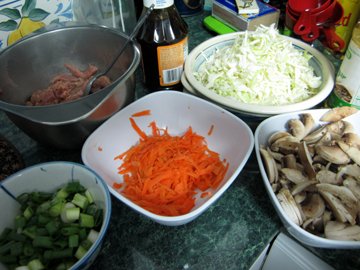 And I’ve never had Moo shu. I need to fix this. Cooking for a hungry teenaged boy is fun. I miss it! We’re never entirely happy, Grad. I miss cooking for a hungry LITTLE boy. But I’ll take what I get. 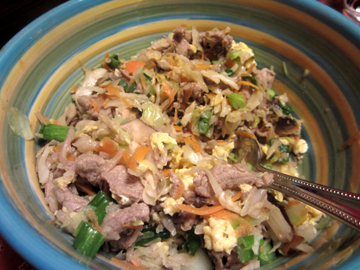 I hope your moo shu is terrific.